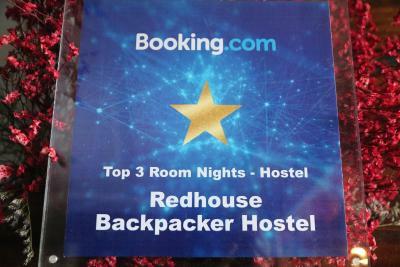 Lock in a great price for Redhouse Backpacker Hostel – rated 8.8 by recent guests! Room was immaculate, super comfy beds with great hot water/pressure! Location was convenient 15 minute walk to Night Market area or a very quick/cheap cab. Our host, Moon, was the sweetest lady, very helpful and kind. 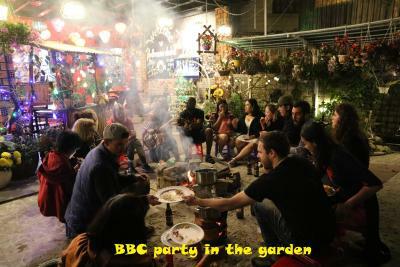 Everyone got a free beer every night which was of course a plus and some small snack foods from the grill. Good vibes and chilling area! The staff did come round with some free snacks to try which apparently they do every night and you get a free beer at 6.30 which is a nice touch. 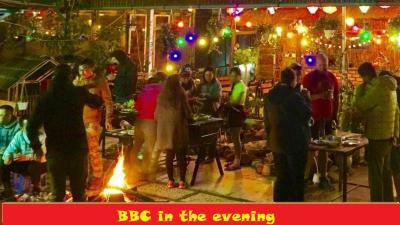 But other than that there's no real social aspect of the hostel. Some of the staff are lovely though. Breakfast is included and has a good selection, I had a very tasty banh mi and it looked like a lot of people were using the kitchen to cook themselves. Location is far without a scooter but we dint mind a walk, about 20/25 minutes. I love to be served like my family by the host, and beer is so great! My bed was comfortable. The common area including the dining area is great. The free breakfast are really good. 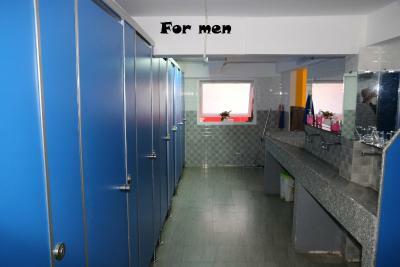 The have many shower rooms. 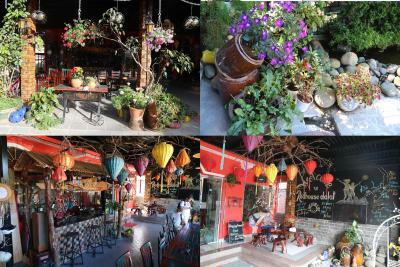 The place is colorful with lots of flowers. Staff, atmosphere, free beer during happy hour every day. Good vibe. our friend was extremely sick from food poisioning and they recommended options and helped us greatly. We also had a very earlier checkout, which they again helped with. The staff was amazing, friendly, happy, willing to help with anything. The room was huge, supernice bed and amazing view. 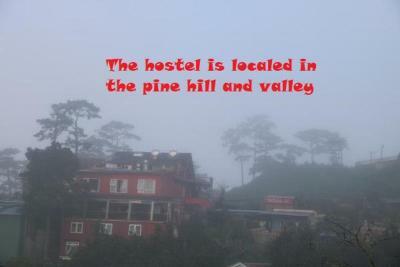 The hostel had a great common place and the tour they are arranging is also recommended. All with all, great experience! 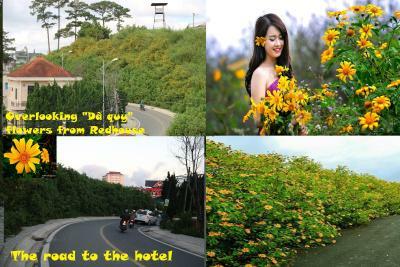 One of our top picks in Da Lat.Redhouse Backpacker Hostel in Da Lat provides accommodations with a garden and a terrace. This property is located a short distance from attractions such as Lam Vien Square, Yersin Park Da Lat, and Xuan Huong Lake. 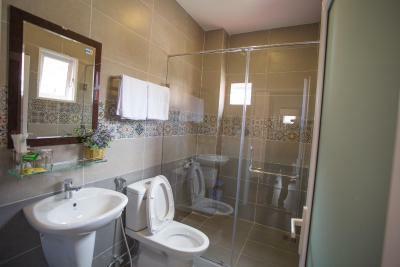 The property is 2.2 miles from Dalat Flower Gardens and 2.7 miles from Truc Lam Temple. Some rooms come with a kitchen with a microwave and a fridge. All guest rooms will provide guests with a stovetop. 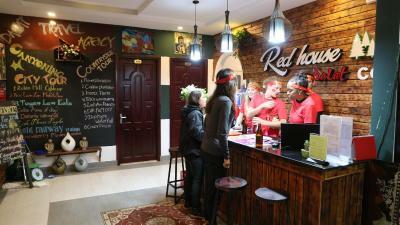 You can play darts at Redhouse Backpacker Hostel. Tuyen Lam Lake is 2.9 miles from the accommodation. 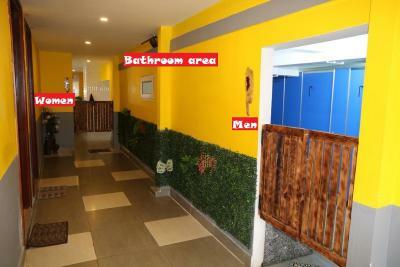 The nearest airport is Lien Khuong Airport, 18 miles from the property. 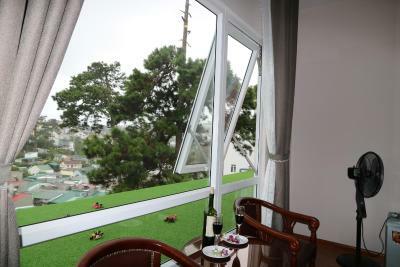 뀐 Located in the top-rated area in Da Lat, this property has an excellent location score of 8.2! 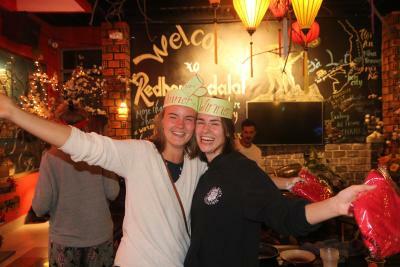 When would you like to stay at Redhouse Backpacker Hostel? 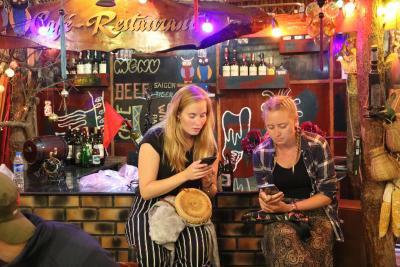 House Rules Redhouse Backpacker Hostel takes special requests – add in the next step! Redhouse Backpacker Hostel accepts these cards and reserves the right to temporarily hold an amount prior to arrival. Nothing at all everything was excellent.. Brilliant hosts, lovely family. We originally booked for 1 night and ended up staying for 4 nights. Lovely clean, great facilities.. only about 15min walk to centre. Great motorbike rental service too. Brilliant staff and puppy called Lucky too! 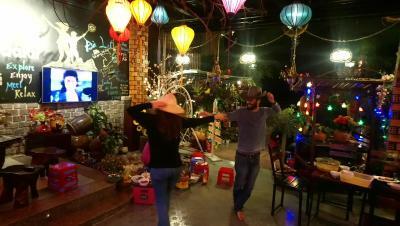 Da Lat has been our favourite in Vietnam and this hostel made it! No breakfast or bar, bathrooms were quite small as were the rooms, definitely not a sociable hostel. Beds were large and comfy, staff were friendly. Had to wait 30 minutes or so for the boss to come and speak to me because she was having a nap....! No curtains on the window so you're woken up stupidly early and by the chickens directly outside the window. No bin or mirror or fan in the room, about 20 to 30 minutes walk to most places and curfew is 10pm. Price was good for stay and breakfast. Shower was very strong, but down a couple of flights of stairs. The staff is amazing and very friendly. Their english is also very well. We missed breakfast but the reception lady did not hesitate to still make us breakfast. 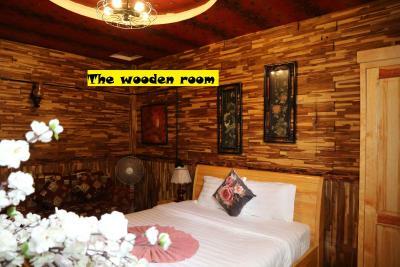 The rooms are very clean and nice big beds. main gate closes from midnight till 6am. i had to check out at midnight to take a bus at 5am. no flexibility on this when talking to the staff. breakfast was below average considering what can be found nearby. clean and quite place. 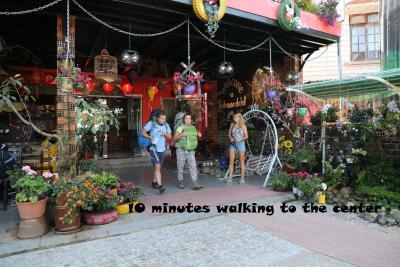 location is good for exploring local food places and near enough to walk to the center. The room was quite clean but a little bit messy in the floor but nothing too bad. The older staff lady could be friendlier and the wifi should be stronger and more stable. Also, big minus is the two class breakfast (VIP and economy) with better choices for VIP and included coffee, everyone else needs to pay 20k. Doesn't make anyone feel good to feel less than! I tried to complain about that but got no reaction or explanation. I made my own instant coffee. Also, if you're an animal lover, I would carefully consider whether or not to do the countryside tour, lots of animals in cages (weasels at the coffee farm, very poor looking ostriches (plugged feathers), hedeghogs, weasels, crocodiles and some other animals at the insect/ rice wine farm). There wasn't much we didn't like. Breakfast was great, staff were very friendly and curious about our travels. The right amount of atmosphere and one of the comfiest beds we have slept in. I was bitten by bed bugs after staying a couple of nights. Breakfast was provided free of charge and accommodation was cheap. 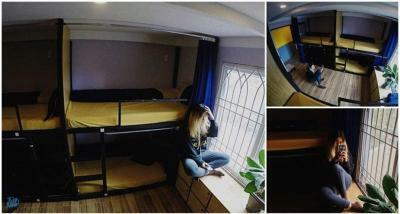 This is a dream place for a budget backpacker. 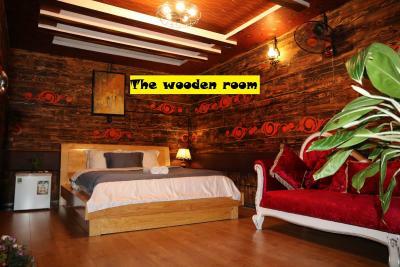 Good facilities and really enjoyed our private room. Did have a problem with our scooter rental however the manager was extremely friendly and rectified it immediately with compensation. Decent location but best if you can ride a scooter around especially into town.